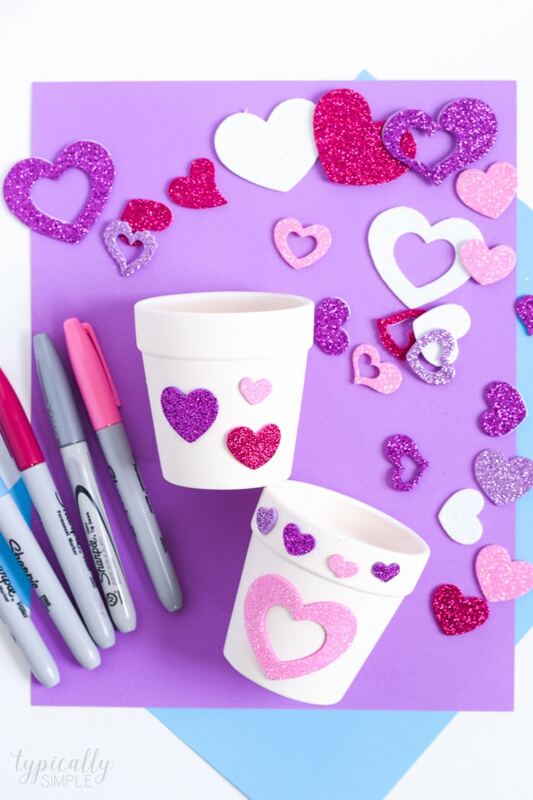 These Valentine’s Day crafts are perfect for classroom parties! Simple and easy to make, the kids will have so much fun creating these three super cute craft projects. I was provided with products from Oriental Trading for this post. All opinions are my own. When I think back to all of the Valentine’s Days from my childhood, I always remember meticulously planning out my “mailbox” that I would bring to school to collect cards from my classmates. I’m sure you know the ones – where you magically transform a shoebox into a beautiful mailbox with way too much glitter, gobs of glue, and red construction paper hearts. I also remember the classroom parties where we’d eat cupcakes and drink fruit punch, play a game or two, and create some sort of Valentine’s Day craft. Which I’m sure also had way too much glitter, gobs of glue, and lots of construction paper hearts. With some Valentine’s Day party supplies from Oriental Trading, I put together three crafts that they kids will love to make and only require just a few basic supplies. Perfect for crafting with preschoolers, making a Valentine’s Day gift for the grandparents, or just having fun during a classroom party! 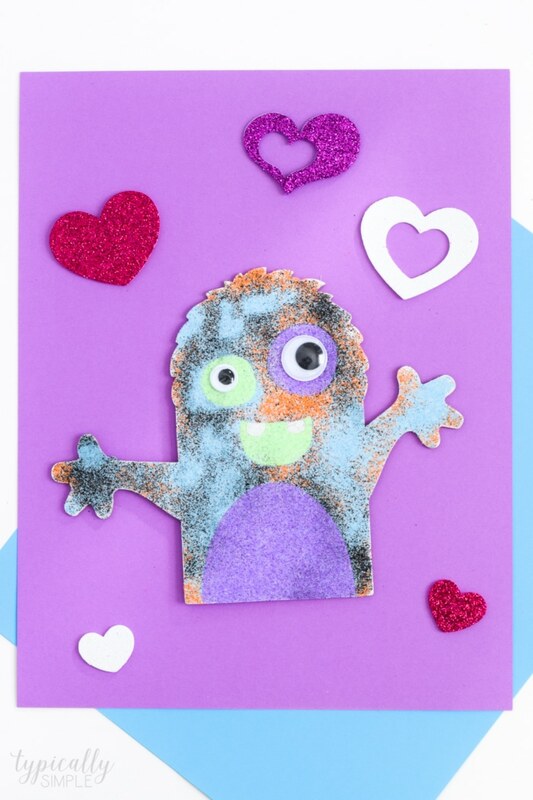 Create a fun “love monster” using the monster sand art sheets, some construction paper, and foam glitter hearts. 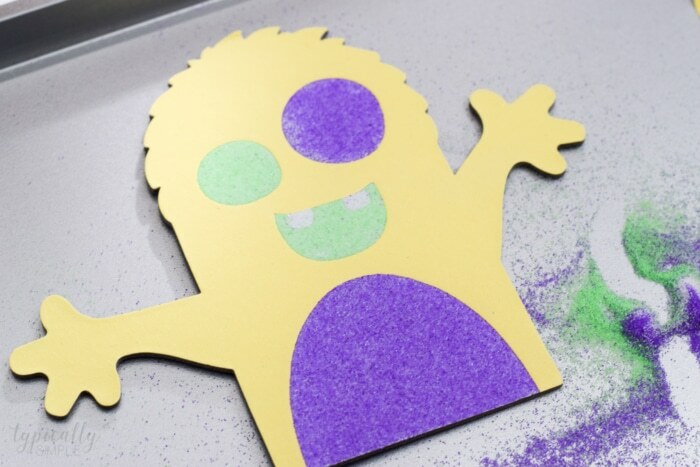 Peel off the protective covering one section at a time to reveal an adhesive surface, then have the kids sprinkle on the sand to start creating a cute little monster! 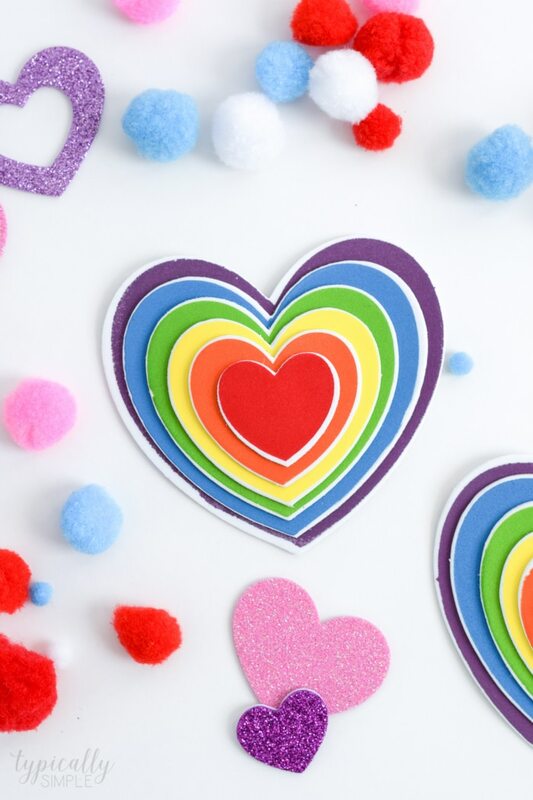 Attach the monster to some construction paper and add some foam hearts to create a love monster that is perfect for hanging up around the classroom or on the fridge at home! This is another fun project to make with the foam hearts! 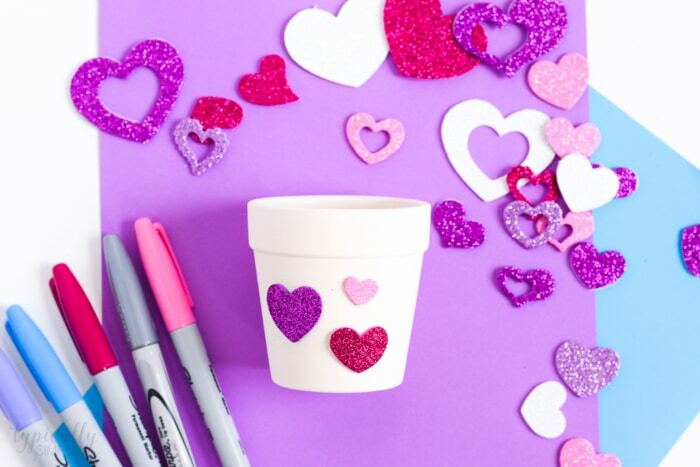 Decorate one of the white mini flowerpots with glittery hearts and some markers. Fill with candy hearts, or even a small succulent and give as a gift that was made with love! Everything that is needed for this craft comes together in the kit! Perfect for a preschool classroom this craft is a great way to add in a bit of learning while creating. 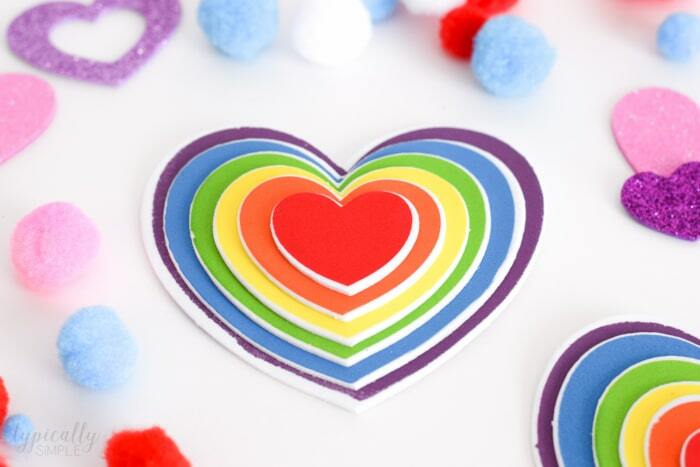 The kids can talk about how the hearts can be ordered from small to large and in rainbow order. Plus the hearts are self-adhesive which means low mess! When making crafts in the classroom, choose two or three smaller projects that the kids can rotate through in smaller groups. Prep, prep, prep! Have enough of each craft supply for every student in the group ready to go so the kids don’t get impatient while waiting for someone else to use the glue or marker. Turn the craft into a learning activity! 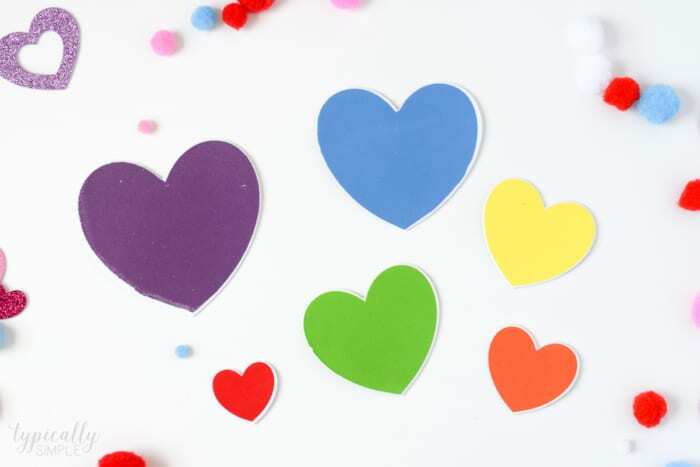 Talk about different colors, sizes, ordering the hearts from small to big, grouping by similar colors, etc.